The great German composer was born 150 years ago in 1864. From Der Rosenkavalier to the revolutionary opera Salome, from Also Sprach Zarathustra to Four Last Songs, Strauss’s music is well worth discovering. Richard Strauss was born on 11 June 1864. His father Franz was a principal horn player who gave Richard a solid musical education. The boy wrote his first composition, aged six. In 1872 he started receiving violin instruction at the Royal School of Music from Benno Walter, his father's cousin. 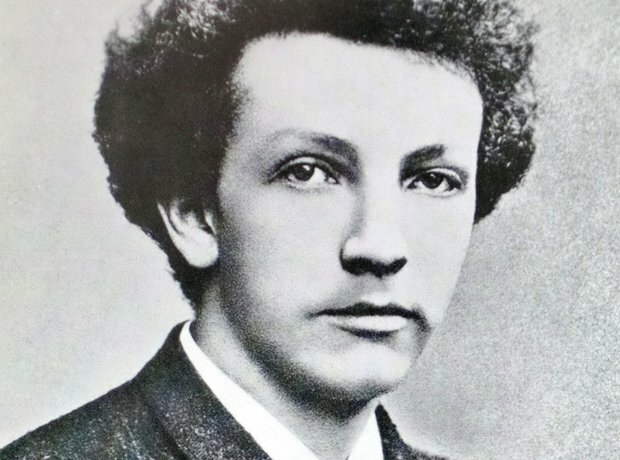 Richard Strauss heard his first Wagner operas, Lohengrin and Tannhäuser, in 1874. At first, his father banned the youth from studying Wagner’s music. It was not until the age of 16 that Richard was able to obtain a score of Tristan und Isolde. Wagner's music made a profound impact on his musical development. Strauss’s early works were quite conservative but they began to develop and change when he met Alexander Ritter, a composer and violinist who was the husband of one of Wagner's nieces. Ritter persuaded Strauss to abandon the musical style of his youth, and begin writing tone poems. In early 1882 Strauss gave the first performance of his Violin Concerto in D minor in Vienna, playing a piano reduction of the orchestral part himself, with his cousin and teacher Benno Walter as soloist. Though written in the romantic tradition of its time, it's a bold and inventive work in which Strauss hints at his reverence for Mozart and Beethoven. Because of his father, Strauss became a great champion of the horn. His first Horn Concerto showed the influence of Schumann and Mendelssohn and remains a staple of the modern horn repertoire. Here, Strauss is seen conducting a broadcast in Munich in August 1932 which was transmitted to all German radio stations. Strauss married soprano Pauline de Ahna on 10 September 1894. She was famous for being difficult and eccentric, but the marriage was essentially happy and she was a great source of inspiration to him. She died just eight months after him in 1950. Strauss's first piece to show his mature personality was the tone poem Don Juan, written in 1888. He went on to compose a series of increasingly ambitious tone poems including Also Sprach Zarathustra. Its sunrise theme became hugely popular after its use in the 1968 Stanley Kubrick film, 2001: A Space Odyssey. In 1905, Strauss created Salome, a musically difficult modern opera based on the play by Oscar Wilde. It produced a passionate reaction from audiences and Strauss's contemporaries. Ravel said that it was "stupendous" and Mahler described it as "a live volcano, a subterranean fire". Strauss's opera Elektra took his use of musical dissonance even further. Based on a character from Greek mythology, Elektra is one of the most demanding roles in the dramatic soprano repertoire. It was also the first opera in which Strauss collaborated with the poet Hugo von Hofmannsthal. They subsequently worked together on numerous major works. For his later operas, Strauss reverted to a more lush, melodic late-Romantic style. These works included the hugely successful Der Rosenkavalier (1911), Ariadne auf Naxos (1912), and Arabella (1932). Pictured here are Elisabeth Schwarzkopf and Sena Jurinac in a scene from Der Rosenkavalier at the Royal Opera House, Covent Garden in 1959. In the early 1930s, Strauss did not join the Nazi party. For reasons of expediency, however, he initially cooperated with the early Nazi regime in the hope that it would promote German art and culture. Much of Strauss's motivation in his conduct during the Third Reich was, however, to protect his Jewish daughter-in-law and grandchildren from persecution. Strauss used his considerable influence to prevent them from being sent to concentration camps. He is seen here talking to German Minister Ernst Roehm in Berlin on 7 December 1933. An American oboist John de Lancie - who knew Strauss's orchestral writing for oboe - was in the American army unit that secured the area round Strauss's home in April 1945. De Lancie asked Strauss to write an oboe concerto. Initially dismissive of the idea, the composer completed this late work before the end of the year. Richard Strauss died at the age of 85 on 8 September 1949. The conductor Georg Solti, who had arranged Strauss's 85th birthday celebration, also directed an orchestra during the burial. Strauss left a great musical legacy which had a profound influence on the development of 20th-century music.